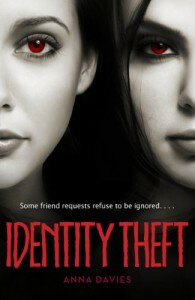 Identity Theft by Anna Davies is a Mystery/Thriller about Haley Westin, your typical overachieving high school Senior. While trying to get in to her dream college; she finds that her secret twin may be out to get her. I have mixed feelings about this book. On one hand it was disappointing as a mystery /thriller, but as just a YA Fiction I found the book to be somewhat interesting. Hayley was a confusing character for me. At some points I really related with her, her hopes of finding her place in the world outside of high school and wanting to belong was something that I know a lot of teenagers feel. But there was other times when she was just unnecessarily bitchy (excuse the language!). I was annoyed with her mom for being so absent and unaware of what was going on with her daughter. I mean she said she kept the secret about Haley's twin from her to protect her daughter, but honestly it seemed like she lied just to protect herself. Adam and Matt the love interests of the book were just a little too dull for me. Although I will say, that there were times when I did like Adam, and to me, his and Haley' relationship just made more sense that hers and Matt's. 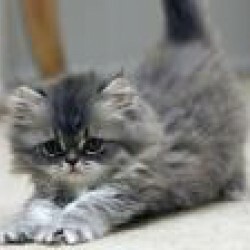 Even though that there was a point where she could not stand Adam the all of a sudden they were together. As for the others characters they were just your typical stereotypes of teenagers; shallow, empty-headed,and vain, and not even worth mentioning. Anna Davies has a nice writing style. Good enough that it made lackluster "scary scenes" a little better. I wish that she took a little less time building up to the "scary" parts and to more time actually making them scary. And the mystery of it was sadly predictable, I knew what was going to happen almost immediately and it usually takes me a minute to figure these things out. It was REALLY hard for me to come up with a final rating for this book, but I went with 3 stars (and I still feel like I'm generous) because I do think and it's worth reading and do recommend. But if you're looking for looking for the type of book that will keep you guessing or hiding under your bed sheets in terror than please, don't bother.